Several months back (ok many, many months back) I picked up this wicker wreath from Dollar Tree. I had no idea what I would do with it and it was stuffed in the filing cabinet in the craft room. I ran across it today when I was gathering up all the July 4th mantel decorations and decided to give it a dose of the the Red, White & Blue! I cut the stars with my Cricut, but you could also cut them by hand. You will need 3-2 1/2" stars and 4 - 2" stars. I have a scoring board, but you could easily score them with a credit card or craft stick. 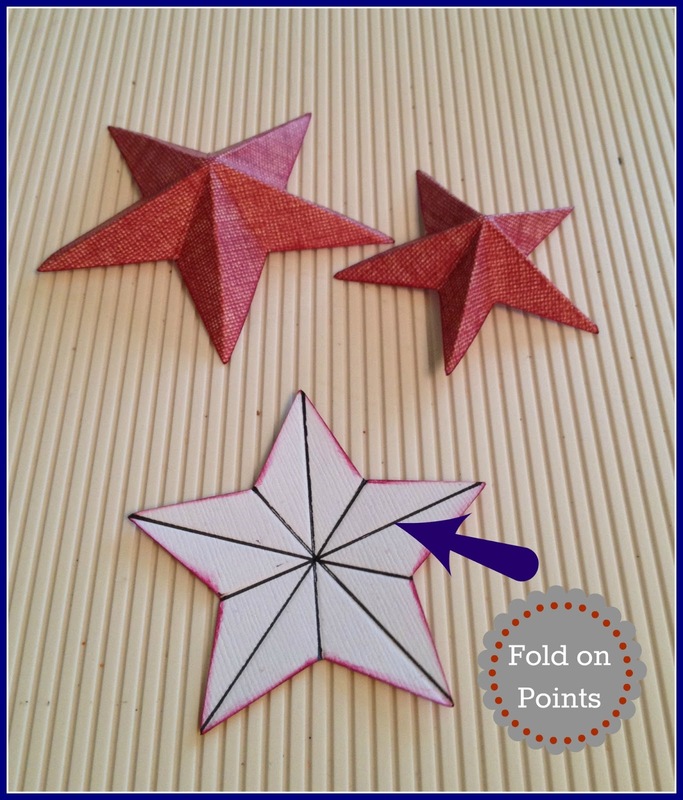 Once all of the scores are completed you will begin to fold the star. 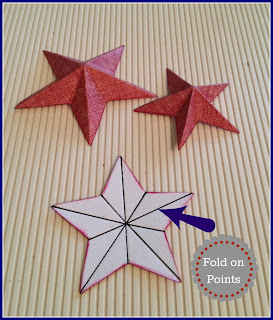 Then you will end up with 3D Stars! So easy and they really look nice! The medallions are 2 - 1 1/2" strips of paper scored every 1/2 inch. After scoring both pieces, glue the ends together and then glue a small punched circle to the back to stabilize the medallion. If you have never made these types of medallions/starbursts/rosettes you can watch the great Video Tutorial on how to make them. 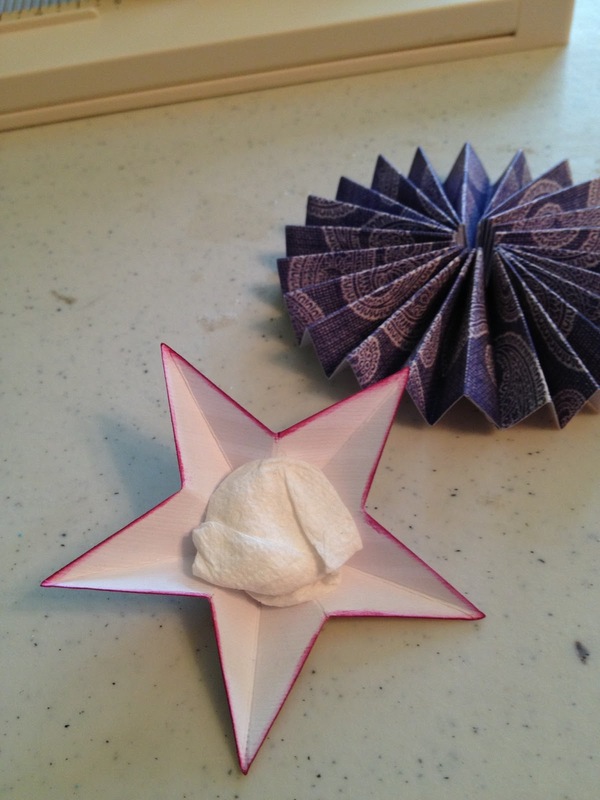 To attach the 2 1/2" stars on to the medallions hot glue a bit of wadded up paper towel into the back of the star, then hot glue on to the medallion. 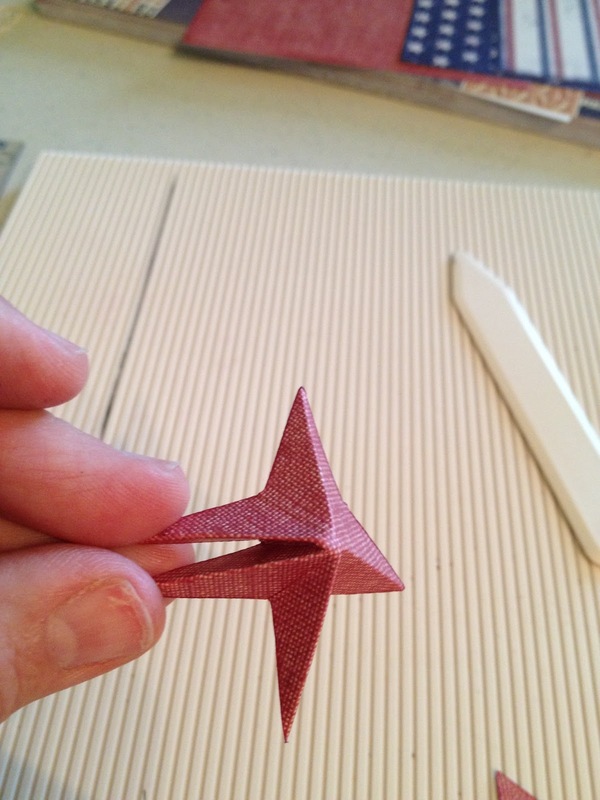 This will stabilize the stars without lots of hot glue showing. Once you have completed the 3 medallion/star combos, you will need to string 4 - 2" stars on to 3 strands of embroidery floss. I also attached a small flag with USA on it that was cut from a piece of scrapbook paper. 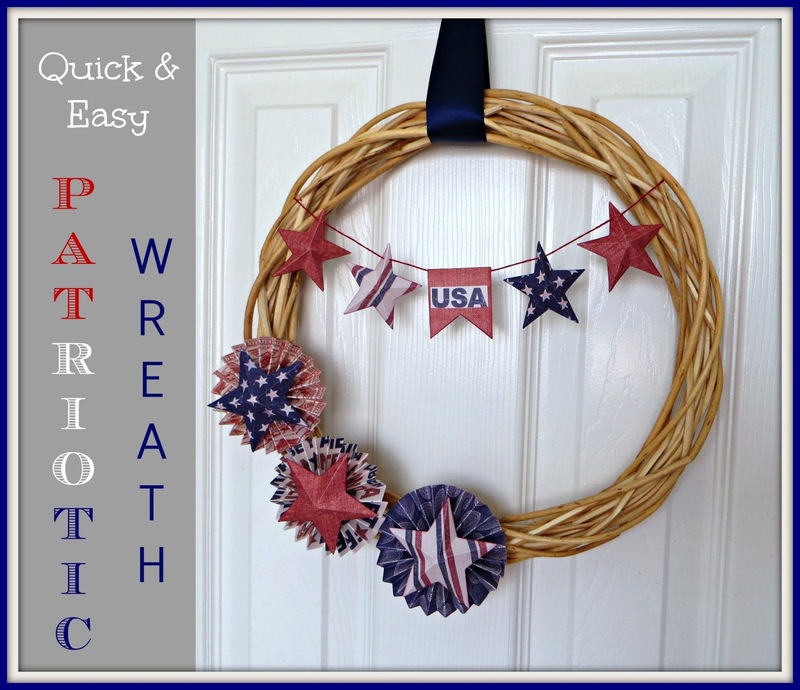 Attach the banner to your wreath and add a bit of ribbon to hang it from. That's it! Quick & Easy - two of my favorite words! 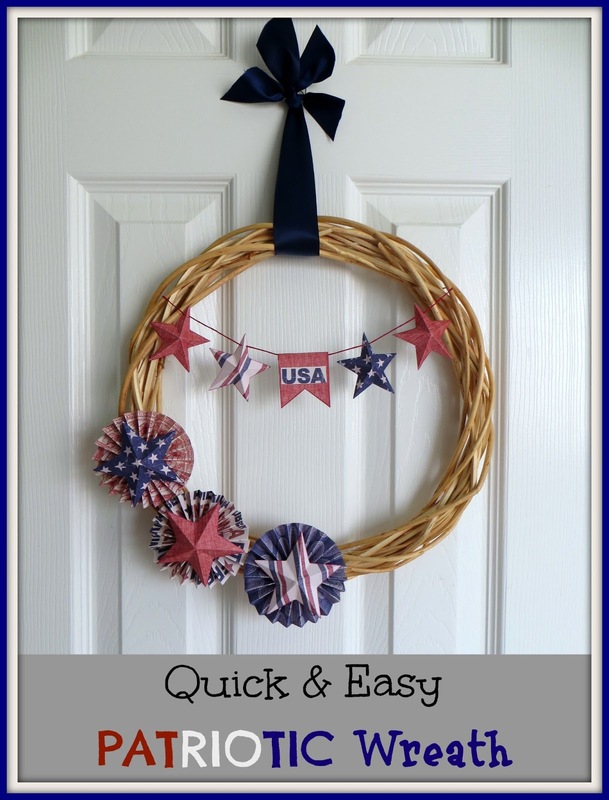 Such a cute wreath for very little money and just perfect for a quick Sunday afternoon craft! Hi, I love this wreath you made, & you did a great job! Thanks Julie! I love how it turned out! Thanks for dropping by and hope you have a wonderful week! Thanks so much Julie! We are honored! Thanks for hosting the fabulous party each week. I know that it must take lots of time and dedication. Have a great week! Cute wreath! I love the stars! I just love how they turned out and they are so easy! I'm all about easy and quick! Hi there! 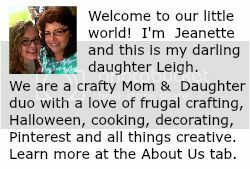 I am visiting from Plucky's blog hop. I love the stars on your wreath, they are super cute, and would be easy to whip up for any project! Thanks Laura! This was my first time to make them and I am already dreaming up all kinds of projects with them! Thanks for dropping by! I love it! 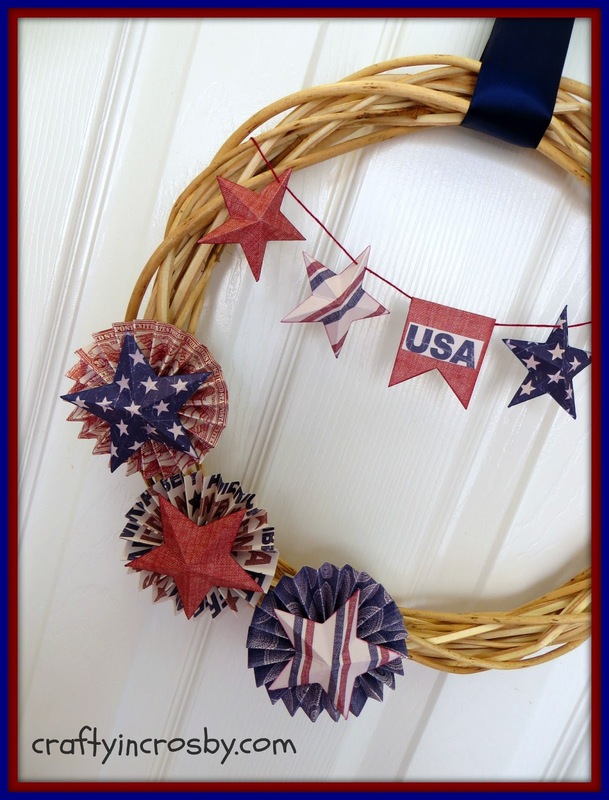 I need a 4th of July craft idea-thanks! Thanks so much for dropping by Teresa! Hope you have a Fantastic Fourth of July! This is just too cute and festive. I absolutely love stars so definitely giving this a try. I would love it if you would come share it at my new link party. Thanks so much Kimberly! We will be sure to link up on Tuesday! Hope you have a wonderful 4th of July!